The Exchange provides school lunch to K-12 students on Army and Air Force installations in Germany. If you send your child to a DoDEA-Europe school, your child is eligible for the Student Meal Program, and maybe even the Free and Reduced Meals Program. In order to participate in the Student Meal Program you must sign up for a lunch account at the Exchange Customer Service Desk at the Tower Barracks Main Exchange, the Rose Barracks PXtra and the Hohenfels Retail Store. Signing up for a lunch account doesn’t obligate daily participation in the Student Meal Program. Menus, prices, nutritional information, and more are posted online. AAFES uses the Horizon “One Source” Point of Sale pre-payment system. Parents can place any desired amount of money into a student’s account and set daily spending limits. Once an account is set up, deposits can be made either at the Exchange Customer Service Desk, by sending in a check to the cafeteria, or online at www.mypaymentsplus.com. Joining My Payments Plus is free and enables you to receive a trigger email when your child’s lunch account is getting low. There is no obligation to make your deposits through My Payments Plus. A mobile app is available, which allows you to access your child’s lunch account. 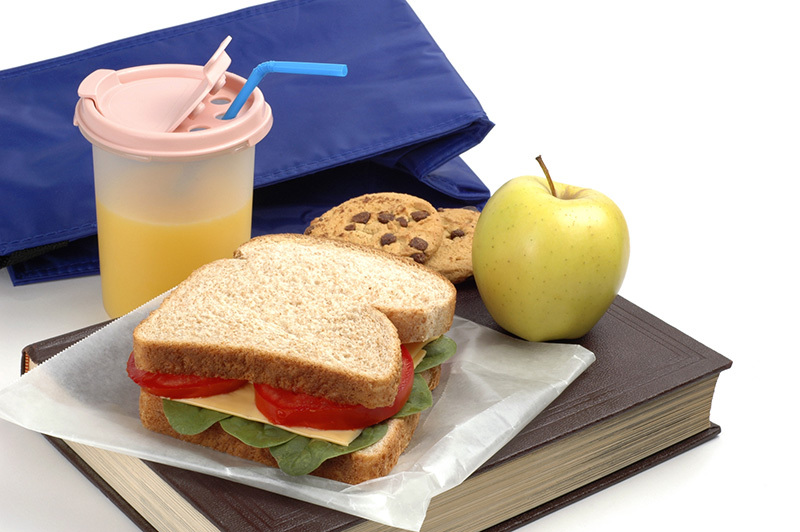 Also available online is a program to help you track your child’s pre-pay lunch account. Parents can get a free account on MyPaymentsPlus and access information online or via a handy smartphone app. View student’s cafeteria purchases to track spending and ensure your child is making healthy choices. Enable your student to purchase items through the main cafeteria line or through A La Carte (Not available at all schools). Deposit funds online or via the free mobile app! Online onetime or auto payments can be made for a small transaction fee. (Payments can still be made at the Exchange Customer Service Desk or cafeteria for no fee). Set reminders to notify you each time the balance is low so your child is never caught without lunch money. To sign up for a free account, visit www.MyPaymentsPlus.com. Click “Register a Free Account” and follow the simple, onscreen instructions. Prior to PSC-ing, visit the Exchange Customer Service Desk for a full refund of any remaining deposit in your child’s lunch account. Families have the option to apply for the Free and Reduced Meal Program for the upcoming school year. Applying for a free or reduced price meal plan used to require parents to apply with a School Liaison Officer though Army Child, Youth and School Services or Air Force Squadron Youth Services. Finding out where to go, getting your documents together, filling out a paper application, having to wait for it to be hand processed, and then get it registered with AAFES at a different location wasn’t exactly a “customer friendly” process. No more running all over post looking for where to apply. Apply in the privacy of your home with an online application and few mouse clicks. Only one application per family covers all your children. Receive confirmation of your child’s status typically within 24 hours. Lunch account is automatically updated to reflect the free or reduced status. “What about my LES? Do I have to scan and send it?” you may ask. Nope! There is an annual verification that will happen each October. At that time 3 percent of all participants will be randomly selected for verification. Those individuals will be contacted and given instructions on how to provide the required documentation for the verification. Student lunches are regulated and subsidized by the USDA. All student lunches are subsidized by the USDA to some degree, even “full priced” meals. Lunch meals claimed under the Free and Reduced Program receive higher reimbursement rates from the USDA. The higher reimbursement rates helps minimize DoDDS’ monetary contributions to the Student Meal Program which means more DoDDS money goes towards other educational needs. Many families who would qualify don’t apply. Starting August 2016, school lunch prices at all Department of Defense Education Activity (DoDEA) schools outside the continental United States (with the exception of Guam) will increase because of rising operational costs and to comply with federal law. This includes schools within U.S. Army Garrison Bavaria. The lunches will increase $0.10 a meal for elementary students to $2.50, and $0.20 a meal for secondary students to $2.75 for the 2016-17 school year. Families who are part of the free and reduced price meal program aren’t affected by the price increase. The price of reduced meals will remain at $0.40. The increase totals about $20 for elementary and $35 for secondary students per school year. The Healthy, Hunger-Free Kids Act (Public Law 111-296) requires DoDEA schools, as participants in the USDA meal program, to raise paid student lunch prices to a level comparable to the rates used for USDA reimbursement. To meet this requirement, prices in the OCONUS schools will be gradually increased over the coming years. As the designated School Food Authority, the Army & Air Force Exchange Service provides schools meals on a nonprofit, break-even basis, for the DoD School Meal Programs (SMPs). The SMP meets the same USDA guidelines as schools in the continental United States by providing meals that have the required nutrients for children. For more information on the School Meal Program, visit www.aafes.com/about-exchange/school-lunch-program.